Viv is the Executive Director and Co-CEO of Polyglot Theatre, Australia’s leading creator of interactive and participatory theatre for children and their families. She has senior experience in a diverse range of arts organisations and a history of over 18 years in the arts. Viv was previously Deputy General Manager of Griffin Theatre Company and established the highly successful Managing and Producing Services (MAPS NSW) program at Performing Lines, through which she produced the work of leading contemporary performance makers including Branch Nebula, POST and Martin del Amo. Viv was Program Manager of Darwin Festival for three festivals and spent several years in the programming team of Sydney Festival. She has also worked for Sydney Opera House and for many of the country’s major theatre companies. Viv holds a Bachelor of Dramatic Art in Production from NIDA and a Graduate Diploma in Management from the University of South Australia. 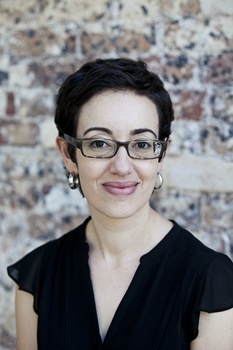 She was previously a board member of Shopfront Youth Arts and currently serves on the board of Theatre Network NSW.